Thats all. 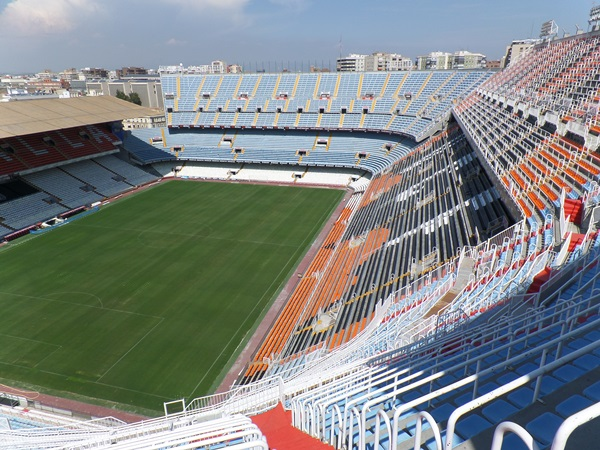 Game finished - Valencia 1, Getafe 2. Second Half ended - Valencia 1, Getafe 2. Faycal Fajr - Getafe - won a free kick on the right wing. Vitorino Antunes - Getafe - receive yellow card. Substitution - Getafe. Vitorino Antunes for Amath Ndiaye. New attacking attempt. Jorge Molina - Getafe - shot with right foot from outside the box is saved by goalkeeper in the centre of the goal. Assist - Amath Ndiaye. Damián Suárez - Getafe - receive yellow card for a foul. Gonçalo Guedes - Valencia - won a free kick on the left wing. Jorge Molina - Getafe - receive yellow card for a foul. 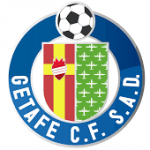 Delay in match Jorge Molina - Getafe - - injury. Daniel Parejo - Valencia - receive red card for violent conduct. Corner - Valencia. Conceded by Leandro Cabrera. Missed chance. Ezequiel Garay - Valencia - shot with right foot from outside the box is high and wide to the left. Assist - Daniel Parejo. Jeison Murillo - Valencia - won a free kick in defence. Amath Ndiaye - Getafe - won a free kick on the left wing. José Gayá - Valencia - receive yellow card. Substitution - Getafe. Sergio Mora for Francisco Portillo. Corner - Getafe. Conceded by Martín Montoya. Ferrán Torres - Valencia - won a free kick in attack. Missed chance. Simone Zaza - Valencia - shot with the head from few metres goes high. Assist - Ferrán Torres. Bruno González - Getafe - won a free kick in defence. Djené Dakonam - Getafe - receive yellow card for a foul. Álvaro Jiménez - Getafe - receive yellow card for a foul. Goal! 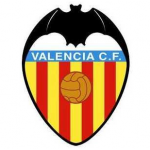 Valencia 1, Getafe 2. Rodrigo Moreno - Valencia - shot with left foot from the right side of the box to the left corner. Assist - Martín Montoya. Shot blocked. Francisco Portillo - Getafe - shot with right foot from the centre of the box is blocked. Assist - Leandro Cabrera with a cross. Francisco Portillo - Getafe - won a free kick in defence. New attacking attempt. Ferrán Torres - Valencia - shot with right foot from the right side of the box is saved in the top centre of the goal. Substitution - Getafe. Álvaro Jiménez for Loïc Remy. Loïc Remy - Getafe - receive yellow card for a foul. Jeison Murillo - Valencia - won a free kick in attack. Substitution - Valencia. Ferrán Torres for Andreas Pereira. Substitution - Valencia. Rodrigo Moreno for Luciano Vietto. Substitution - Valencia. Carlos Soler for Nemanja Maksimovic. Missed chance. José Gayá - Valencia - shot with the head from the centre of the box is very close to the goal. Shot blocked. Simone Zaza - Valencia - shot with the head from the centre of the box is blocked. Assist - Andreas Pereira with a cross. Offside - Getafe. Mathieu Flamini with a pass, however Amath Ndiaye is in offside. Faycal Fajr - Getafe - won a free kick in defence. Corner - Valencia. Conceded by Faycal Fajr. Offside - Getafe. Amath Ndiaye with a pass, however Jorge Molina is in offside. Missed chance. Jorge Molina - Getafe - shot with left foot from the right side of the box goes high. Assist - Damián Suárez with a through ball. Goal! Valencia 0, Getafe 2. Loïc Remy - Getafe - shot with right foot from the centre of the box to the right corner. Assist - Jorge Molina. Missed chance. Loïc Remy - Getafe - shot with right foot from more than 35 yards is close, but missed to the left. Assist - Jorge Molina. Second Half starts Valencia 0, Getafe 1. First Half ended - Valencia 0, Getafe 1. Corner - Valencia. Conceded by Damián Suárez. Missed chance. Simone Zaza - Valencia - shot with the head from the centre of the box is close, but missed to the left. Assist - Daniel Parejo with a cross . Martín Montoya - Valencia - won a free kick on the right wing. Missed chance. Damián Suárez - Getafe - shot with right foot from more than 35 yards missed to the left. Assist - Bruno González. Corner - Getafe. Conceded by Simone Zaza. Daniel Parejo - Valencia - won a free kick in attack. Shot blocked. Amath Ndiaye - Getafe - shot with right foot from the right side of the box is blocked. Assist - Jorge Molina with a through ball. Luciano Vietto - Valencia - won a free kick in defence. Corner - Getafe. Conceded by Jeison Murillo. Missed chance. Nemanja Maksimovic - Valencia - shot with the head from the centre of the box goes high. Assist - Daniel Parejo with a cross after corner. Simone Zaza - Valencia - won a free kick in attack. José Gayá - Valencia - won a free kick in attack. Offside - Valencia. Simone Zaza with a pass, however Luciano Vietto is in offside. Shot blocked. Luciano Vietto - Valencia - shot with right foot from outside the box is blocked. Assist - José Gayá. Goal! Valencia 0, Getafe 1. Loïc Remy - Getafe - shot with right foot from outside the box to the right corner. Assist - Damián Suárez with a through ball. Offside - Getafe. Leandro Cabrera with a pass, however Jorge Molina is in offside. Faycal Fajr - Getafe - won a free kick on the left wing. New attacking attempt. Simone Zaza - Valencia - shot with the head from the centre of the box is saved in the right corner. Andreas Pereira - Valencia - won a free kick in defence. Corner - Valencia. Conceded by Mathieu Flamini. Simone Zaza - Valencia - won a free kick in defence.